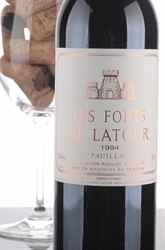 The 1997 Les Forts de Latour reveals a rich, blackberry, jammy (the French call it confiture) nose nicely intermingled with spice and earth. Latour's second wine exhibits a dark ruby/purple color as well as a nose of black fruits, ketchup, earth, and minerals. Moderately tannic and closed, it is reminiscent of its bigger brother. The 2005 Cristal stands out for its exceptional inner perfume and elegance. Fully mature with some amber at the edge, the medium-bodied, elegant 1985 offers notes of bay leaves, roasted herbs, black currants and sweet cherries. 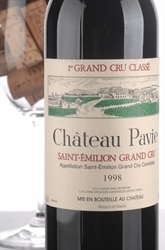 Slightly austere, leafy and herbal, the fresh 1998 lacks concentration, fat and fruit depth. 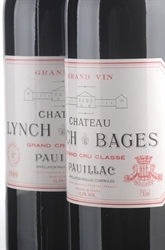 A charming, lush, round, generous Lynch Bages, the 1999 offers plenty of sweet black currant fruit, damp earth, licorice, cedarwood and spicy herb-like characteristics. The fully mature 2001 exhibits aromas of tapenade, bay leaf, licorice, red and black currants, damp earth and new saddle leather. Bell pepper, cigar box, red as well as black currant notes, dusty, earthy tannins, and a medium-bodied personality make for a good but uninspiring effort.